Easter bank holiday is fast approaching, and the shops are filled with chocolate. No wonder it is so easy to over-indulge this time of year! 1. Try your hand at some refined sugar free baking; The internet is a wonderful source of endless recipes! We loved Davina's refined sugar free brownies, these definitely satisfied our sweet tooth. 2. 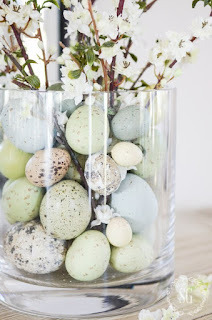 Easter Crafts - This one is particularly great for keeping the children entertained whilst on the Easter half term, and can be enjoyed as a family activity. Home sense, The Range, Home Bargains and Poundland have some fantastic Easter crafts on offer at very reasonable prices. 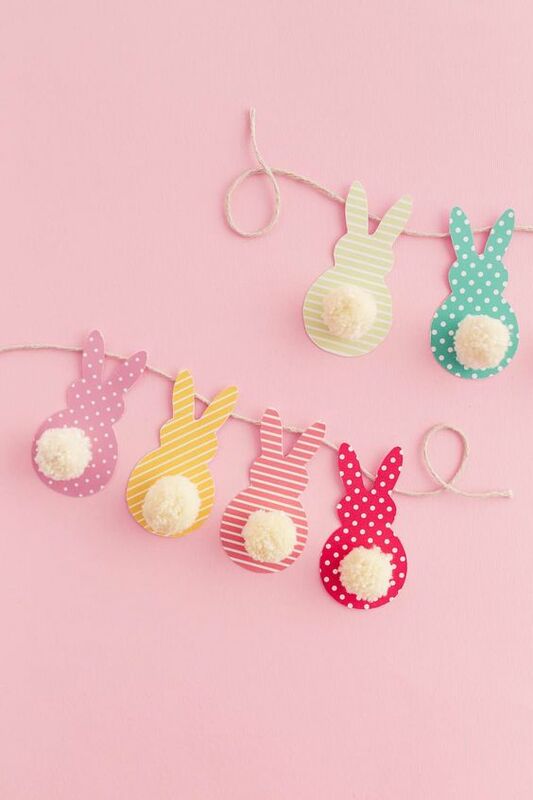 We found so many wonderful ideas on Pinterest, but this one was one of our favourites; DIY Bunny bunting, with pom-pom tails. 4. Get active! Organised some Easter themed games for all the family to join in and have some fun! Whether it's the classic egg and spoon race, or treasure hunt, a little imagination goes a long way! 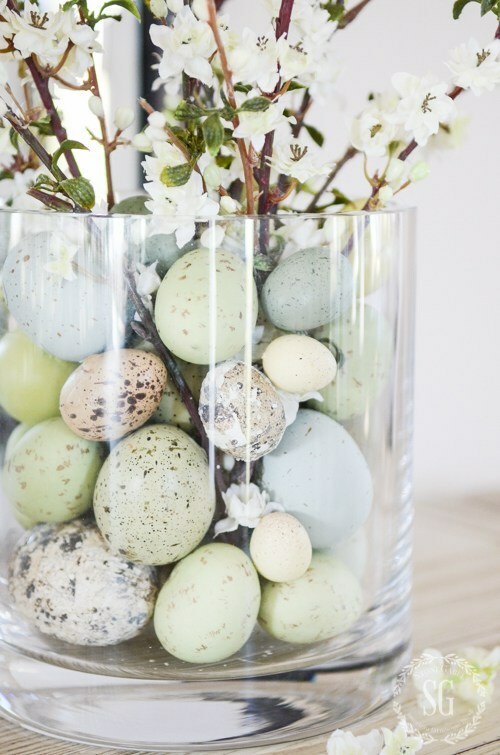 We hope that this has been useful and has given you some Easter inspiration, and we'd love to hear from you if you tried any of our ideas or took inspiration from them. Perhaps you have an Easter hack of your own? Leave us a comment below as we love to read your comments. Here at Aloe Vera Dental Studio, we are committed to being a part of your journey to health and wellbeing. We thought what better way to celebrate the start of spring than with a little motivation for a 'Spring Clean'. Is it time for a 'Spring Clean'? Dental hygienists are specially trained to look after all aspects of oral health and play a big educational role to help prevent dental problems. Gum disease is one of the leading causes of tooth loss in adults but is largely preventable. Visiting a hygienist regularly can help to prevent and treat gum disease by removing plaque and calculus with professional cleaning as well as teaching you techniques at home to maintain a clean mouth. Developing a good oral cleaning routine is key to achieving excellent oral health! Research shows that poor oral health can have a negative effect on the whole body with recent studies showing links between gum disease and heart disease, diabetes and pregnancy complications, with more links being discovered to other diseases. Hygienists are also trained holistically to give diet and lifestyle advice to prevent tooth decay, oral cancer and tooth wear. Overall a clean and healthy mouth can help improve your appearance, confidence and most importantly your health. Our hygienist works Mondays + 1 Saturday per month and costs £49.00 for 1 session. The session will last around 30 minutes. If you would like to schedule an appointment with our hygienist, please give us a call today on 01245 357735 and speak to a member of our team.